Brian is owner and head instructor of The Complete Combatant and Fusion Fitness and Mixed Martial Arts in Marietta, GA. Brian is also a Public Speaker and an Expert Witness. Brian Hill is a Rangemaster Certified Instructor of Tom Givens Rangemaster's Instructor Development Course and has trained in Pistol, Rifle and Precision Rifle for many years as an instructor and a student. Brian has been invited to present a 4 hour live fire session of his “Practice and Refinement for the Armed Citizen” at Rangemaster's Tactical Conference. The next Tac Con is March 15, 16 and 17, 2019 in NEW ORLEANS! Brian Hill is a 4th degree Black belt in Karate and Japanese Jiu-Jitsu, a 3rd degree Black belt in Taekwondo and a certified MMA Conditioning Coach. He has been a full time instructor since he was 18 and he personally trains everyday. His Fusion MMA student base starts at age 4 and reaches age 70! Brian is also approved by the State of Georgia to present self defense/Proactive mindset classes to Real Estate Agents for 3 CE credits. Brian Hill has GRADUATED with HONORS (A = Excellent per Andrew Branca) from Andrew Branca's Law of Self Defense Instructor Program! This program provides professional-level understanding of the theory and application of self-defense law. 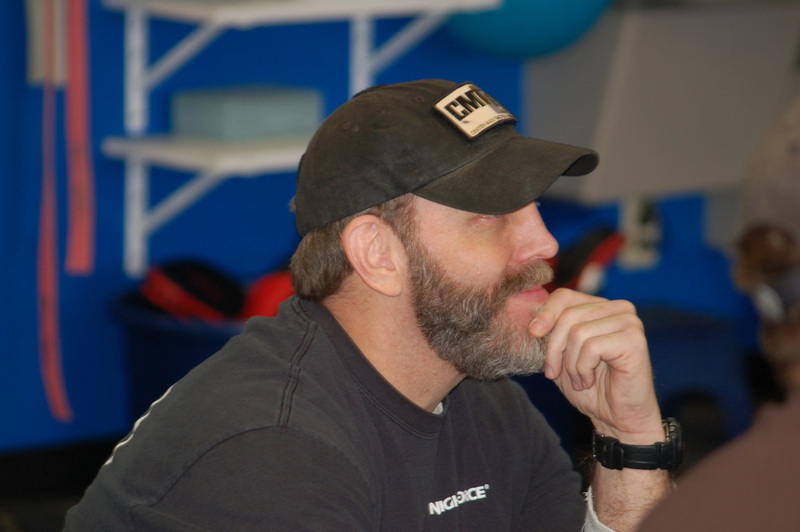 Brian is a member of Active Self Protection's (ASP) Instructor Development Portal and is one of the qualified instructors listed on ASP's Instructor Directory on behalf of The Complete Combatant and Fusion MMA. Brian Hill is an active Trusted Supporter (past Board member) at Racheal's Rest. Racheal’s Rest is a 501c3 nonprofit organization that offers private counseling and five-day restorative retreat programs designed to address the physical, emotional and spiritual needs of survivors. They exist to help women and children who experienced sexual abuse or acts of violence regain their balance in life. Racheal's Rest is Fusion MMA and The Complete Combatant's featured charity. We invite you to visit Racheal's Rest's website and please consider donating a gift of any size. THANK YOU! Pistol Shooting Solutions with Gabe White: Earned "Dark Pin"
POLITE SOCIETY SHOOTING MATCH: Brian shot a perfect score in the match (one of only 4 people), a 99 out of 100 (cold) in the semi finals, and made it to the final 4 out of 16 shooters. THIS WAS A FUN SHOOT OFF TO WATCH! Active Self Protection's "Lesson's Learned from Watching 15,000 Gun Fights"
Pistol Shooting Solutions with Gabe White: Earned the "Dark Pin"
POLITE SOCIETY SHOOTING MATCH: Paper Qualifier = 200/200, Semi- Finals = 98/100, and made it to the SHOOT OFF with the top 16 shooters.